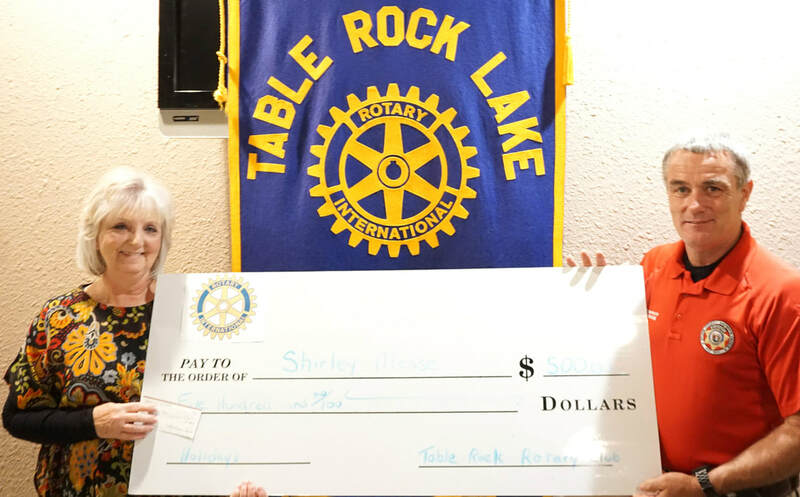 The Rotary Club of Table Rock Lake donated $1,500 dollars to help charitable organizations with their holiday programs. The club gave $500 to the Southern Stone County Food Pantry, $500 to the North Stone County Food Pantry, and $500 to Shirley Mease, who serves a free Thanksgiving dinner each year at Reeds Spring Intermediate School. The Rotary Club of Table Rock Lake meets every Friday at 12:00 p.m. at Tequila’s Mexican Restaurant in Branson West.